Use good-quality circuit breakers and fuses – Consult a qualified electrician, and set up reliable electrical fuses and circuit breakers in the basement. Make sure that none of the wires passing through them are damaged in any way. Get these fuses inspected at regular intervals. Go for heat shrink tubing – Protect the cables and cords in the basement, by using heat shrink tubing. These tubes are pre-heated, and then fitted on the wires – to keep the latter functional at high temperature levels. Find out the exact type of tubes that you require. Do not keep heavy cardboard boxes and cartons close to the electric circuits – Store boxes, cartons and bags in your basement, at a specific area. Never bring them in close proximity to the electric switches and fuses. This will reduce the chances of sudden electrical fires manifold. Do not use too many extension cords – Extension cords are NOT meant to be used as substitutes of electrical wires. Use only that are absolutely necessary. Have adequate lighting – Whenever you need to work on the electrical system in your basement, visibility should never be a problem. Set up bright, energy-saving lights in this section of the house, and switch them on whenever required. Repair jobs will become quicker, and a whole lot easier. Have electric circuits of the right capacity – The capacity of the electrical circuits in your basement should depend on the appliances you want to operate from your basement. Use multi-plugs to power multiple gadgets from the same source. Get the electrical furnaces cleaned regularly –Hire a professional to remove accumulated dust particles and dirt from the basement electrical furnace(s). If there are any problems in their operations, get the necessary repairs done. Keep an eye out for voltage fluctuations – Frequent power trips and/or voltage fluctuations should never be left unattended. Ask your electrician to find out the cause(s) behind such problems, and fix them. 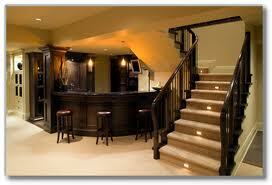 If you have the main switch of your home in the basement, get it inspected on a monthly basis. Do not keep too many heavy electrical appliances in the basement. Stay safe from electrical accidents by following the above tips – it’s hardly a difficult task! Author’s Bio: Robert Louis is a professional electrical expert. He writes on different household electric safety tips and methods and different types of coaxial cables on a regular basis. Over here, he deliberates on a few important electrical safety guidelines for your basement.